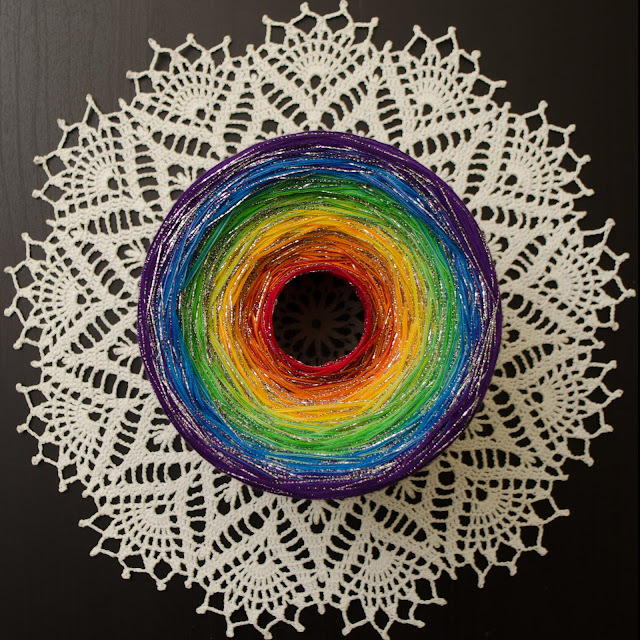 It's all started with this sparkly rainbow yarn/thread! This is one of the yarns that I imported from the Philippines. My supplier is so kind and gave me a cone of a metallic thread too! I decided to re-wind my yarn together with the metallic thread to give it a sparkly effect. 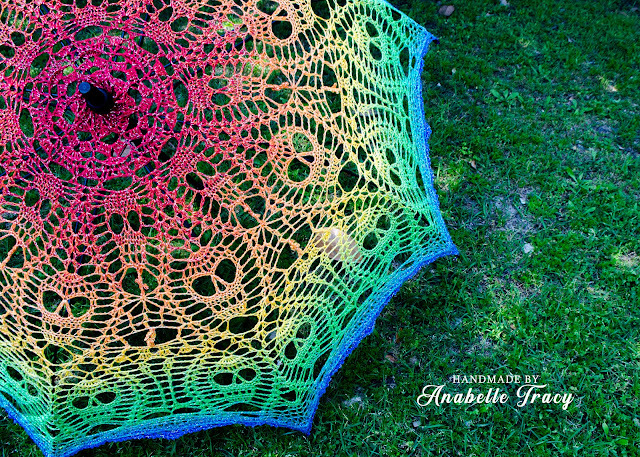 It will be available again in the first week of April at my Etsy shop: Anabelle Tracy. 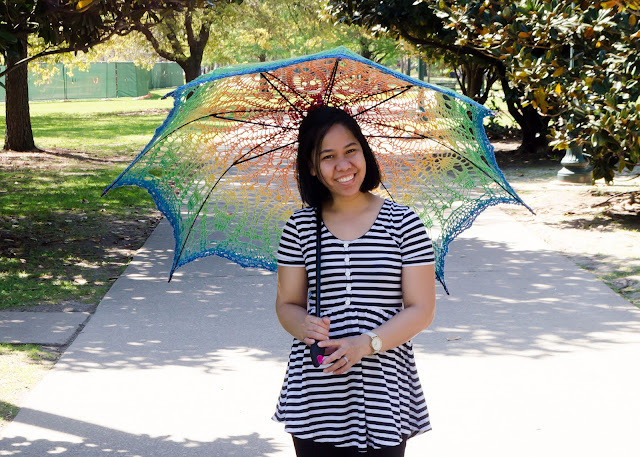 The last batch sold quickly, so if you want this rainbow yarn, grab it as fast as you can! I've been wanting to make a parasol, I want something unique. Until I saw this talented designer in one of the crochet group that I'm in. I sent her a message and ask her if it is possible to have a big skull doily and the skulls are facing outward because I'm planning to make it into a parasol and she is happily accepted my challenge! 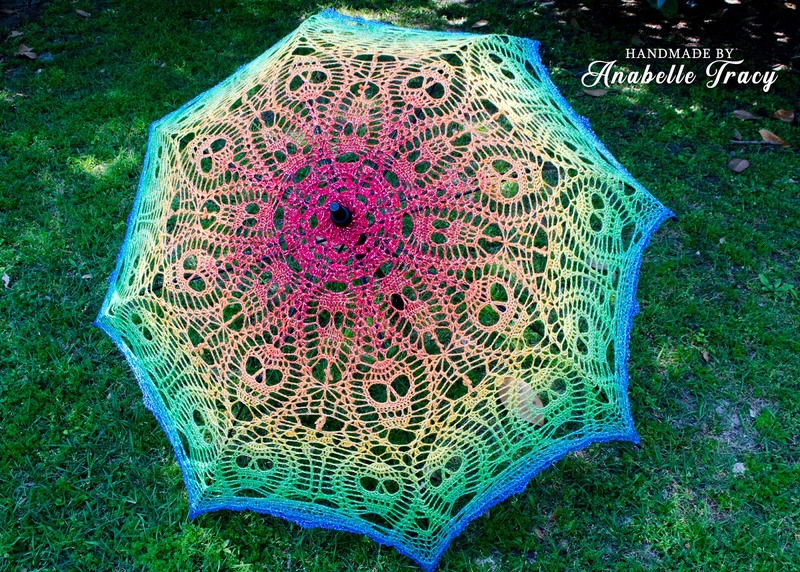 It takes a while before she finally releases the pattern and it is superb! It's more than I imagine. If you will look closely it is not just skulls, there are also full skeleton! I applaud my husband for taking a decent picture of me hahaha. 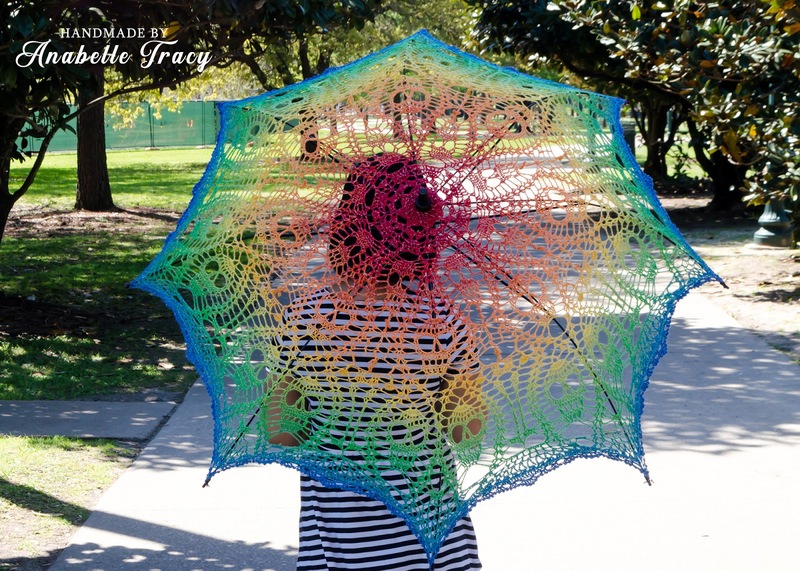 My love of crochet, rainbow, and sugar skulls in one masterpiece. Skulls and skeletons tan lines anyone? 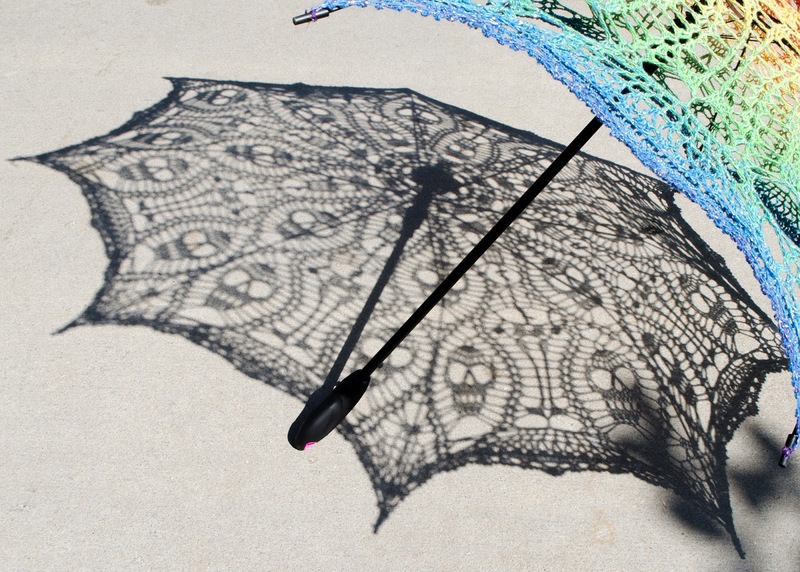 After this, I know there will be more parasol in the future! I'm searching now for the next pattern and perfect yarn!